Hello fellow art friends! I am often asked what art materials I use, so I figured it was time I shared my favs with you :) This post is in no way sponsored. First up - paints! *Please Note: I live and purchase my materials in France. I'm not sure all of where else in the world they are available. When first starting out, it's okay to use inexpensive paint. No need to buy the most expensive paints to get your desired outcome, because expensive doesn't necessarily equal great work. Instead, focus on technique and buy expensive paints down the line! My current paint of choice... acrylics! I've been painting with acrylic paints since starting art classes at age 4. I think what originally drew me to them is how quickly they dry. It's the medium that matches my brain speed. When i'm painting I get into a flow where I need to keep moving and painting through my thoughts. I love the opaqueness of acrylic and how easy it is to manipulate. These past couple of years, I've worked to get that buttery oil paint look with my acrylics. Don't get me wrong, I LOVE oils! I love the deep richness found in oil paints, but haven't played around with them since undergrad, which was a long time ago. I know i'll get back to them one day :) I've yet to truly explore watercolor, but I would like to learn. 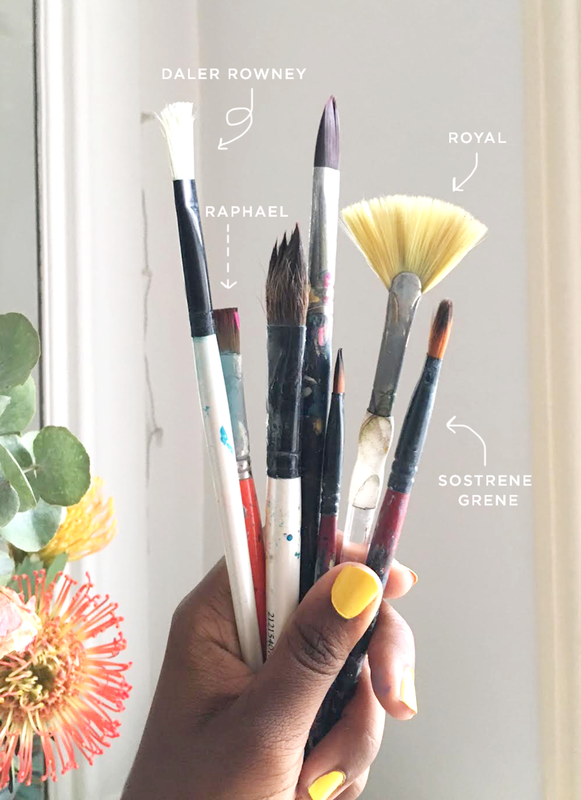 I currently use many different paint brands because sometimes a girl just falls in love with a certain color a brand offers! At the moment, my brush collection is a combination of inexpensive and mid-range priced brushes. I must admit, for the past year or so I haven't been the best with taking care of my paint brushes. So, in an effort to not throw money down the drain, I purchased inexpensive brushes and have challenged myself to take good care of them for 6 months before I allow myself to buy expensive ones I've been eyeing. So far so good - I see some new brushes in my near future :D When I do allow myself to purchase nice brushes again, I'll be buying from the Raphael line. I'm a fan of their smooth and silky bristles. 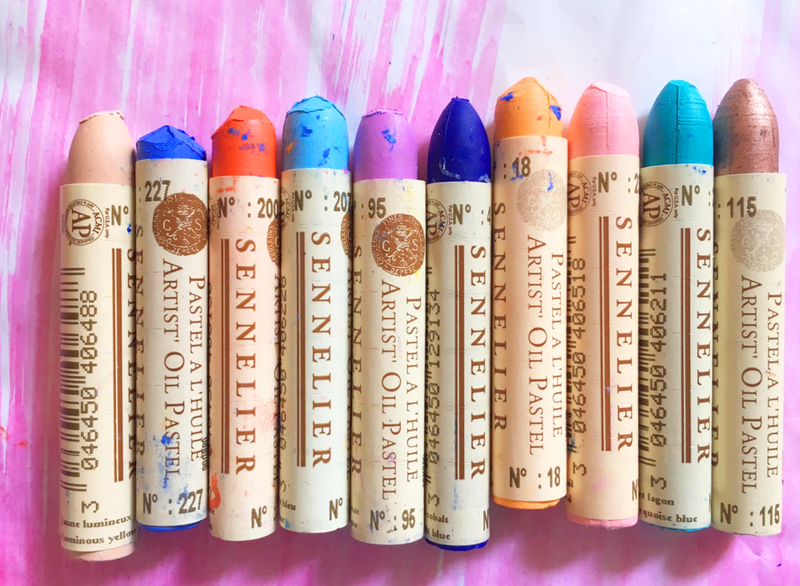 I'm a huge fan of Sennelier oil pastels! Their colors are so vibrant and buttery! My current favorite color is No. 227 "Bleuet" I've been adding it to all of my pieces lately for a hit of rich vibrant blue. This blue also reminds me of the south of France. This is beautiful blue can be often found in Provence, decorating homewares, shutters and doors! 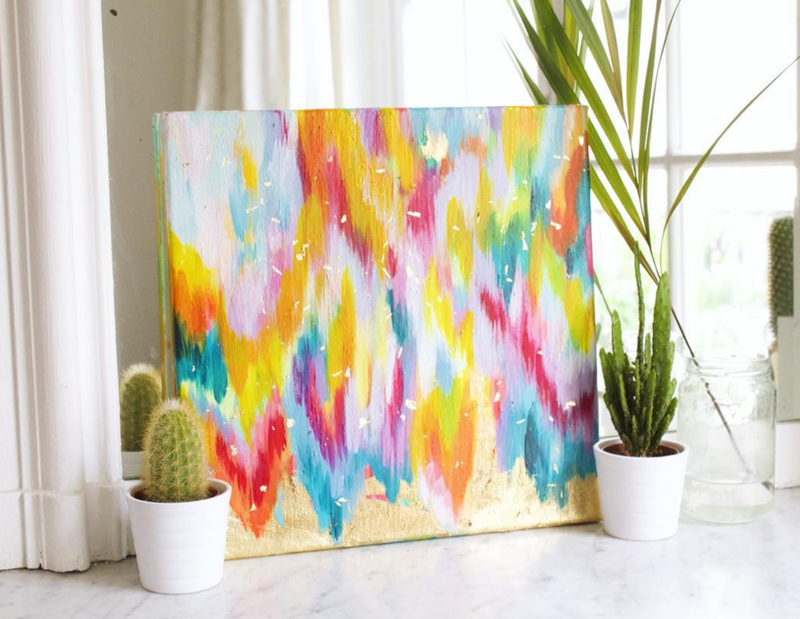 I'm a huge fan of all things sparkly and gold and am obsessed with adding hits of gold to my work. 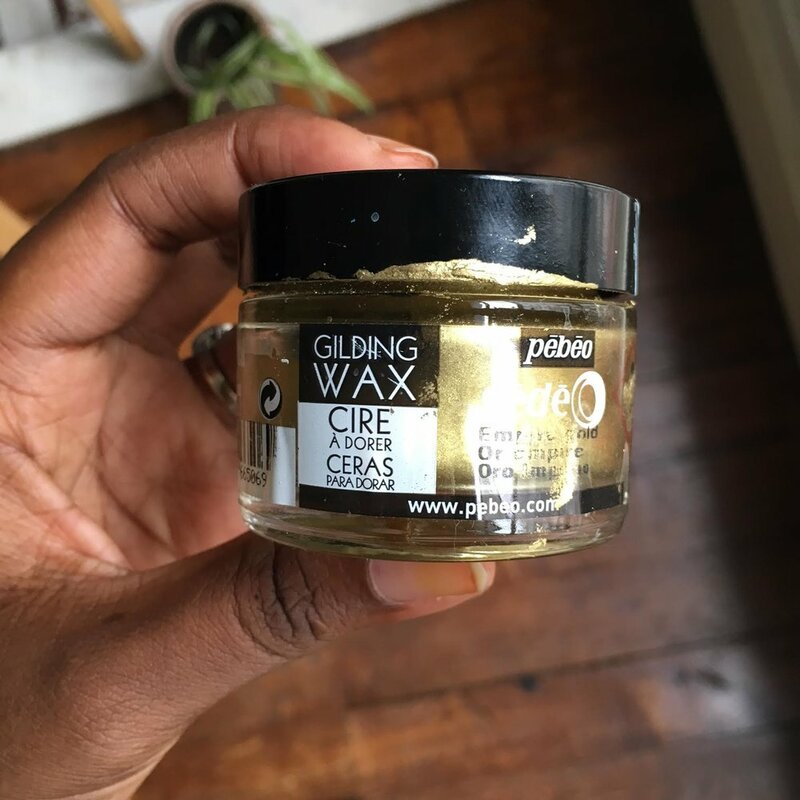 A medium i've become quite a big fan of is gilding wax. This stuff smells crazy strong and is flammable, but the result is so rich. It's creamy and waxy and can be used on many surfaces such as woods, metals, glass... anything really! When I'm doing lettering or illustration I love to use the Pentel Japanese Fute Pen with black indian ink. Ink refills are able to be purchased for this pen, but sometimes I just dip it directly in the ink to get the inky look I desire. See it in action here!! What are some of your favorite art materials? I'd love to know!